Holly & Sophie Hanson of Harmony Financial Strategies, a Topanga CA based financial planning company, have donated an additional $5000!!! to keep our Challenge Grant going until December 31st, 2017. We would like to express our deep gratitude for the generous support of Elaine Hanson of Pacific Union International Realty and Doug Hanson Construction for jump starting our Challenge Grant campaign. Thanks to our amazing donors we met our original goal of $16,000! Harmony Financial says "Keep It Going!!" This means whether you give $25, $100 or more , YOUR DONATION WILL CONTINUE TO BE DOUBLED, and is guaranteed to improve the lives of our Veterans and other homeless families. In Los Angeles County alone, homelessness has jumped 23% in the last year. Many are Veterans and families, including over 63,000 children, living on the streets, in shelters, and in their cars. 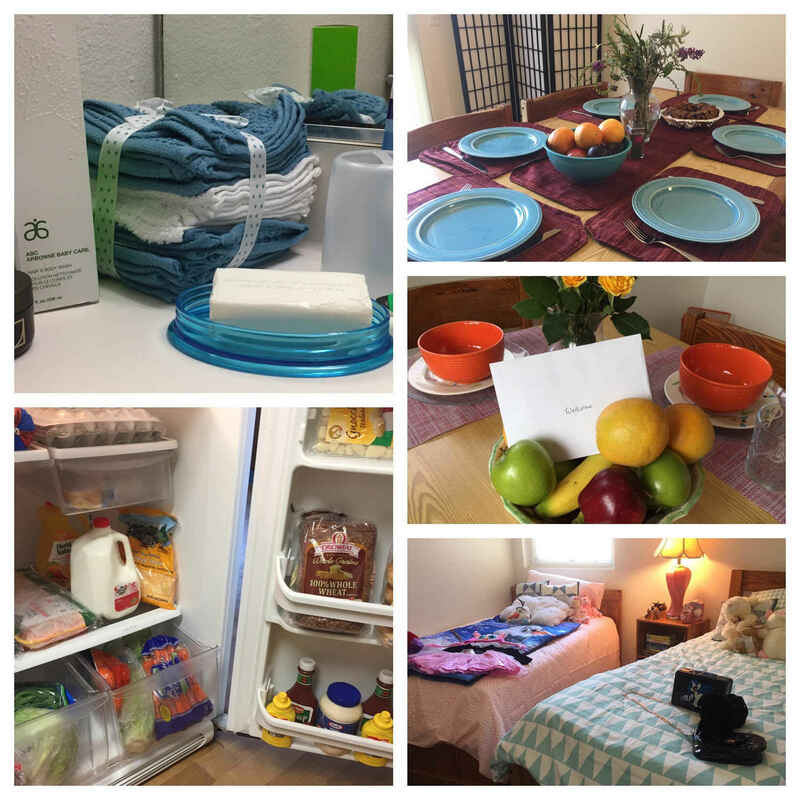 Working with two agencies, Westwood Transitional Village and Venice Community Housing, we help the neediest of families by furnishing these bare-bones apartments with the necessities we all take for granted. We are so grateful for you, TWC!!! Privileged to be a part of this org. making a difference to our vets and families. Enjoy your new linens. Blessings to you and your family! Women's Professional Network supports the work of Topanga Women's Circle and Janaki Welch.